I’ve bee n a Realtor since November, 1990, the year before earning my MBA from San Jose State University. Previously, I worked as a corporate controller in Boise Idaho, Seattle Washington and San Jose California. I grew up in Boise and was active in local theatre productions both on and behind the stage earning a BA in Theatre Arts from Boise State College, soon to be Boise State University, home of the now nationally ranked Bronco football team. Go Broncos! I have a son Justin, who is now married, and I live with my husband Craig, a podiatrist, with offices in Stockton and Pleasanton. We live in Discovery Bay and enjoy water sports, boating, wine tasting and riding our WaveRunners. We have two Kerry Blue Terriers: Toby and Sophie. I am passionate regarding abandoned and missing pets and would like to start a shelter in the Brentwood area and bring together the various groups that are already present in the community. I am an active member of a local Book Club and read one-three or more novels and business books per month. A member of Women’s Council of REALTORS since 2001, I have held the position of President of the Delta Chapter as well as State District Vice President and Governor. 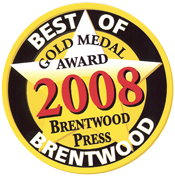 Awards include Member of the Year in 2008 and Entrprenuer of the Year in 2009. Being active in the industry has lead me to be more active in my local association. I have been a Director since 2006 and was awarded Member of the Year. I am currently serving as President Elect and am Chair of Strategic Planning. 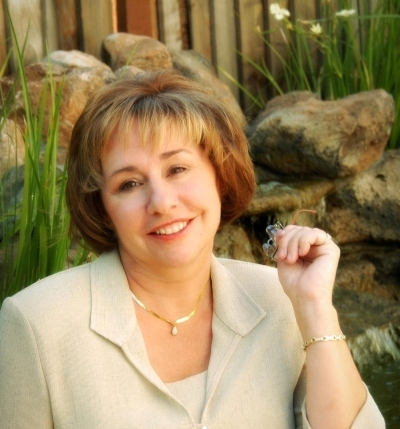 I’ve been working with REO properties since I began my real estate career. Ron Rondazzo of Independent Associates became my mentor and partner in that successful business. We transferred to Prudential in Campbell and were Top Producers for several years running. Since then, I headed off on my own and have been successful in the Real Estate, specializing in bank owned homes, at Prudential in Pleasanton and now with Coldwell Banker Amaral in Brentwood, CA. I just happen to pick up my wifes’ copy of Ladies’ Home Journal and read the story about the abandoned pets. How heart breaking to think that people can just walk away from a family member like that. My wife and I have adopted two dogs ( one deaf ) and four cats. I would rather cut off my arm than leave any of them behind if we had to move ( not likely as we own our home ) . I would just like to say that I have the highest regard for people like yourself. Good luck in your endeavors.